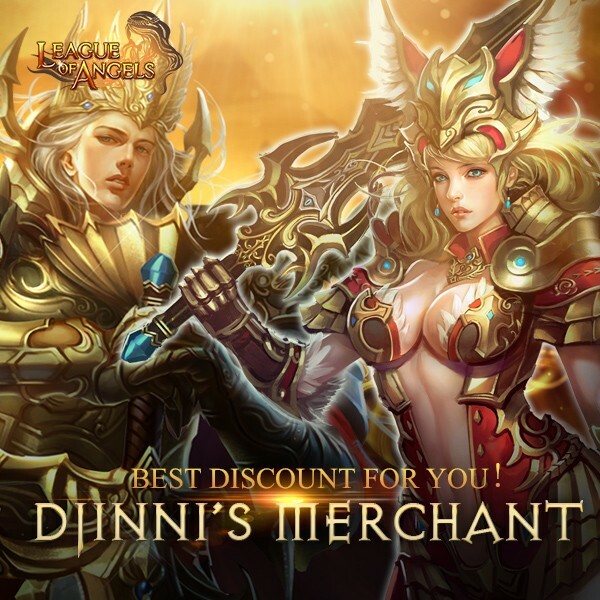 LoA_Djinni's Merchant: Get Fantastic Odin's Gleaming Garment! 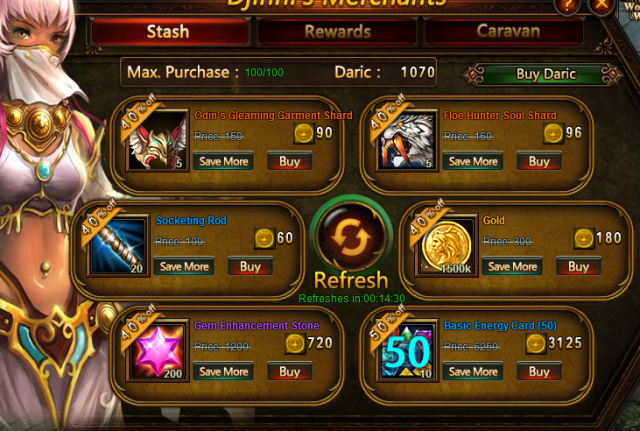 Description: Buy items with Darics from the Djinni's Merchants for a discounted price. The discount can be up to 90% off. - Daric can be obtained from Today's Gift, Total Recharge Reward, Gemology , All-Round Talent, Omnipotence and Fishing Soul, or exchanging Diamonds or Vouchers at a 1:1 rate. - Click the “Refresh” button for a chance to buy different discounted items. The commodities include Odin's Gleaming Garment Shard, Wings of Rhythm Shard, Azul Wolf Shard, Floe Hunter Shard, Celestial Hunter Shard, Enchanted Ore, Element Scroll, Blessed Stone, Soulstone, Seraph's Stone, Gem Enhancement Stone, Element Crystal, Aegis Shard, Refining Stone, Runestone,Lvl. 3 Cherubstone, Lvl. 3 Holy Crystal, Lvl. 4 Cherubstone, Lvl. 4 Holy Crystal, Lvl. 5 Superior Gem Chest, Lvl. 5 Common Gem Chest, Angel Tears, Gold, and many more. 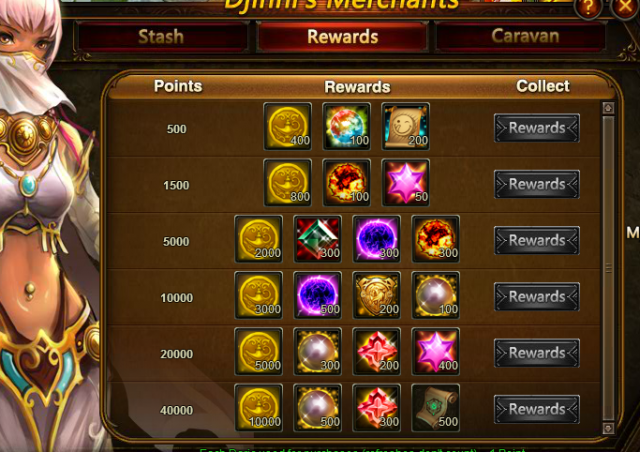 This time slight changes are made in the reward list. Different forms for better game experience! More bonus are waiting for you in game! - The remaining Daric can be used in future events. For hot events information, please check in Tycoon event news. More exciting events are coming up through Aug 4 to Aug 6 (server time). Check them out in the in-game Hot Events menu now! LoA_Wheel of Luck: More Items Added in Store of Luck! LoA_Win Spiritsoul Totem in Beach Treasure! LoA_House of Cards: New Hero Yasi Delaney Shows Up! LoA_The 16th Cross-Server Tournament Starts on Jul 26! LoA_Lucky Tree: Show Your Power With Polar Bear! LoA_Wheel of Luck:Win Gold Organza and Hot Items!